Increasing numbers of people are being tested for possible exposure to radiation in the investigation into the death of a former Russian spy as the post-mortem on his body was due to be carried out on Friday. It was also reported that British Culture Secretary Tessa Jowell and 2012 Olympics organising committee chairman Sebastian Coe travelled to Barcelona on one of the British Airways aircraft that were found to have traces of radioactive material. They have apparently spoken to authorities about it. Meanwhile, stricken former Russian prime minister Yegor Gaidar's spokesman said he was the victim of an "unnatural" poisoning, fuelling fears his case may be linked to that of former spy Alexander Litvinenko and journalist Anna Politkovskaya who was murdered in October. Police in Ireland, where Gaidar fell ill, have started an inquiry into what caused his illness. Gaidar is currently at a hospital in Moscow. In Britain, a specialist post-mortem was due to be carried out on Friday, after Litvinenko's urine was found to have large quantities of the radioactive substance polonium-210. As of midnight Wednesday, the Health Protection Agency (HPA) said that about 1,700 people called the government-run health service's hotline saying they were at the locations Litvinenko is said to have visited on the day he fell ill, and of those, it has followed up on 139 cases. A total of 24, as of 4:00 pm (1600 GMT) Thursday, had been referred to specialists for an exposure assessment. Some 140 people have been asked to give urine samples. In 29 of these cases nothing of concern was found. The investigation is gradually homing in on a string of London locations -- including two hospitals, a sushi bar and a hotel -- and three BA planes used on London-Moscow flights, on two of which traces of radiation have been found. The HPA late on Thursday gave the all-clear for one of the planes. British police and intelligence services increasingly suspect that "rogue elements" within the Russian state are behind Litvinenko's death on November 23, The Guardian reported on Friday, and they have apparently ruled out official government involvement. Citing sources within the police and intelligence services, the newspaper said that investigators were tracking down a group of five or more men who arrived in London shortly before Litvinenko fell ill on November 1, and watched a football match between London club Arsenal and CSKA Moscow the same day. The group, described thus far only as witnesses, flew back to Moscow shortly afterward. Meanwhile, Russia's Kommersant newspaper reported on Friday that Russian businessman Andrei Lugovoi said that he was in London to attend the CSKA game with Dmitry Kovtun and Vyacheslav Sokolenko, all three of whom met with Litvinenko at the hotel on November 1. 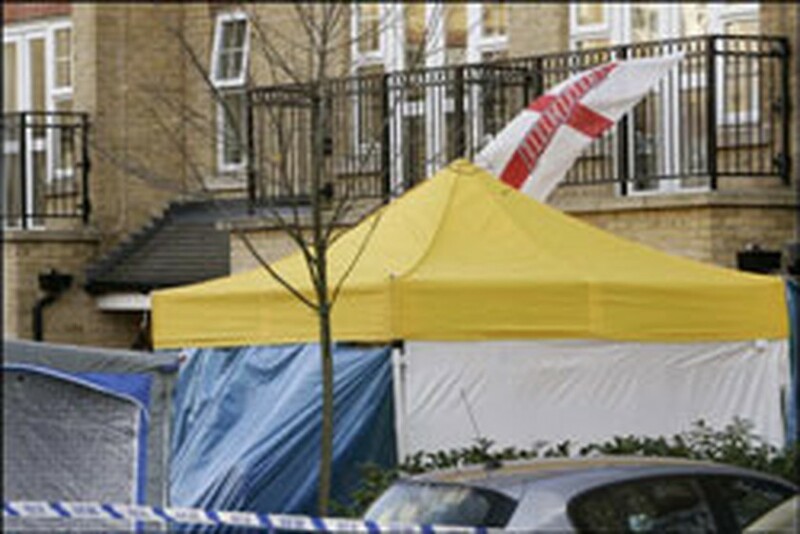 Police also believe that Litvinenko was poisoned at or near the sushi bar, The Independent reported on Friday. The Daily Telegraph reported on Friday, meanwhile, that Litvinenko's would-be assassins dropped the polonium-210 on the floor of a London hotel room, citing a senior government source, and also said that British scientists are believed to have identified the plant where the substance was produced.